Seton's Hot Work Tags are backed by our 100% Satisfaction Guarantee! Select from a wide variety of Hot Work Tags at competitive prices. Plus most of our top-quality Hot Work Tags are in stock and ready to ship today. 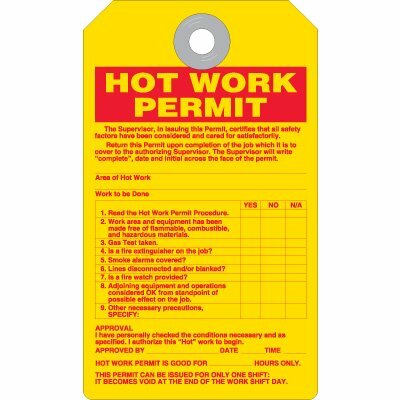 Hot work permit tag shows awareness to all personnel that cutting and welding operations producing a spark, flame, or heat is being performed safely. 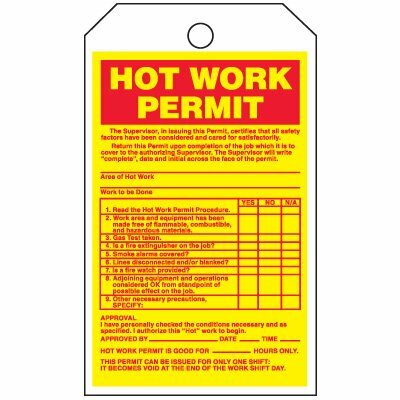 Hot work permit tag shows awareness to all personnel that cutting and welding operations producing a spark, flame, or heat is being performed. 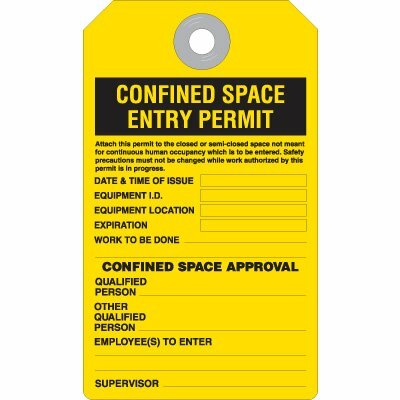 Cutting and welding permit tags help you comply with OSHA by properly identifying hot or confined work spaces.